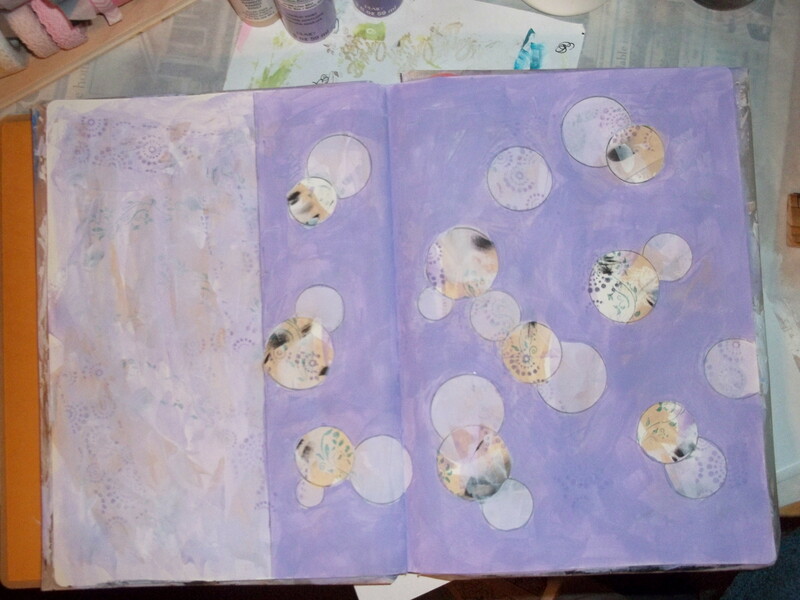 However, I started by gessoing the center fold of the pages so no paint would seep through. 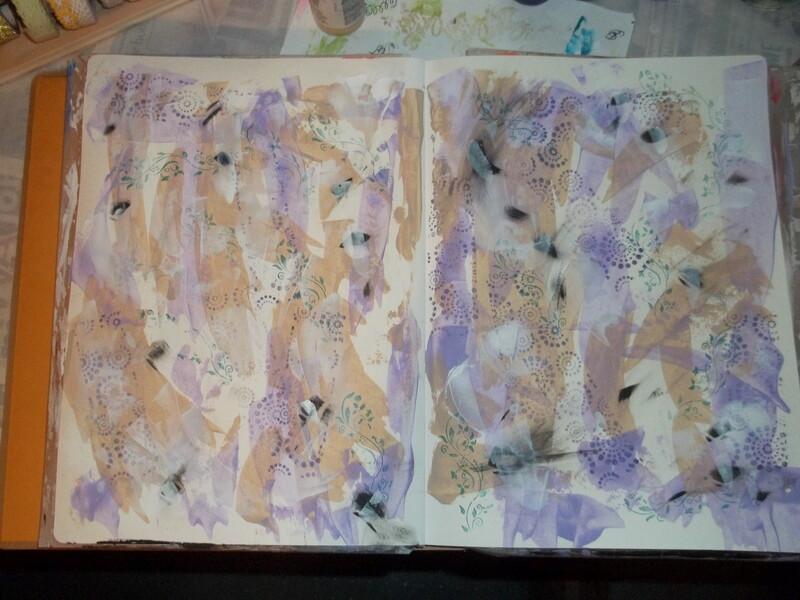 Then splotched on acrylic paint and gesso, stencil and stamps, dabs of this and that, winding up with this hodge-podge. 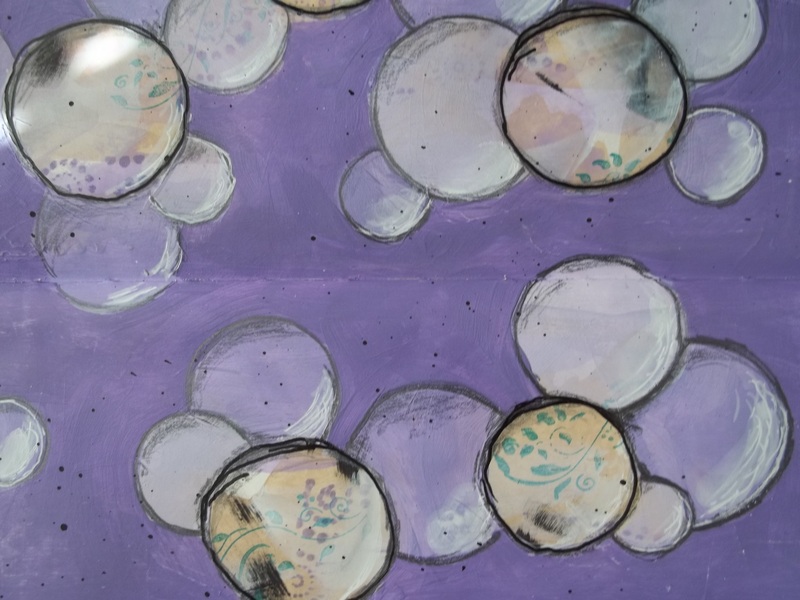 Again, the same thing of making more circles generally touching those already there before adding a dark purple over everything but the circles and also adding a border on the left. 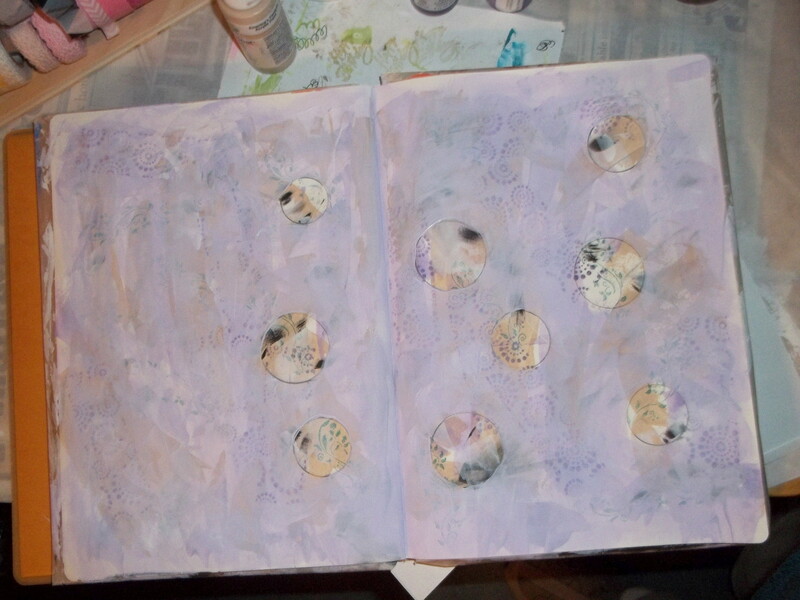 Started to outline the circles with pencil to have them stand out and have some shading as well as adding in date circles on the left. 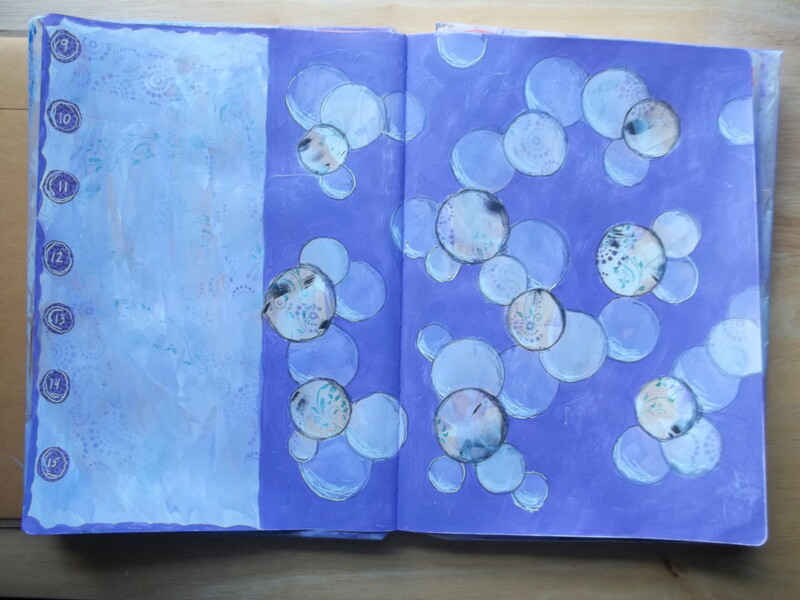 This picture shows it as much bluer than the pages actually are. 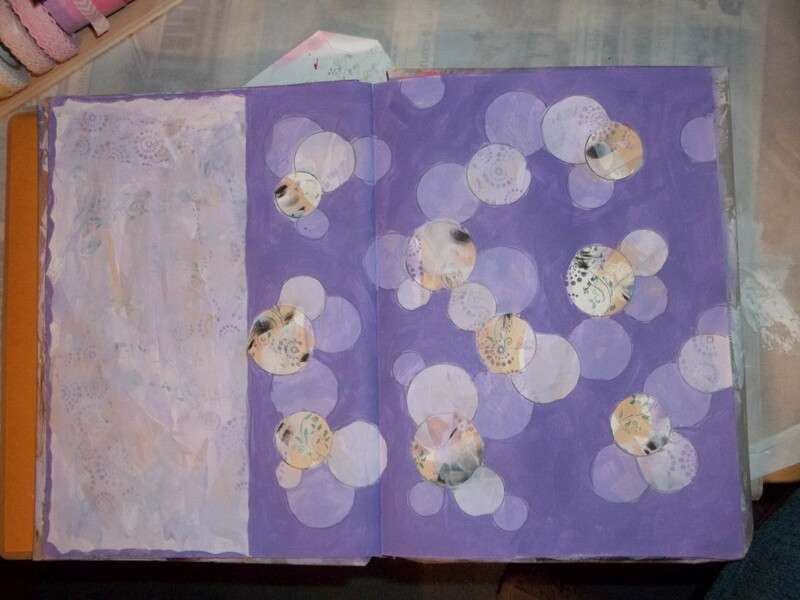 Finishing touches of pen and charcoal around the circles and begin the planner/journal, which is so wonderful in organizing one’s thoughts and events. 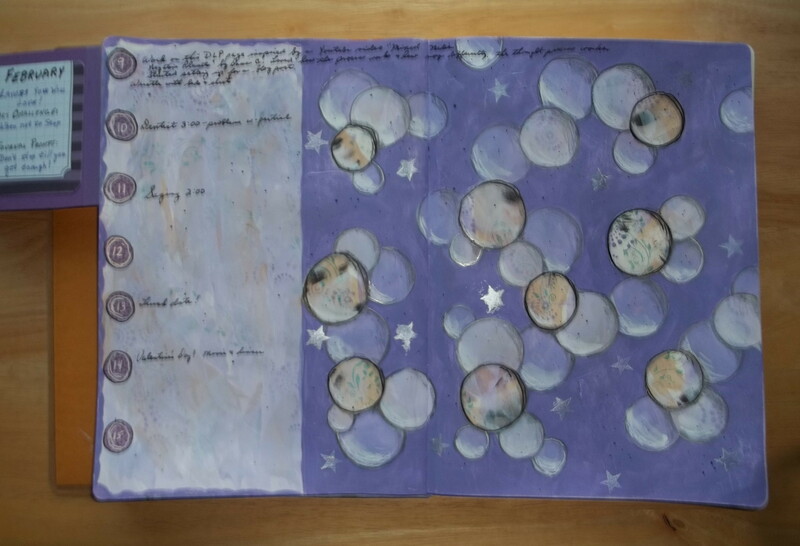 In time, this journal will become a memoir for me and my family. I was amazed by how the thought process of negative space is so very different from what one usually does in painting something.